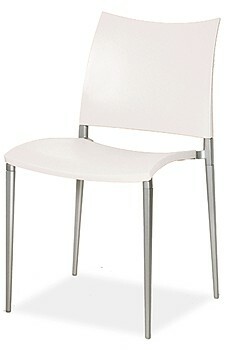 UV protected polypropylene with anodized aluminum legs. Perfect for formal or casual dining and perfect for outdoors. Mix some colors and bring your alfresco are to life! !